The Customer Experience Economy—it’s here. And with buyers now valuing signature customer experiences over product features, how does your business fit in? Have you implemented the right tools and strategies that create an experience with the power to turn heads, crack smiles, and constantly remind customers that they need look no further than your solution? In today’s customer experience economy, companies are no longer compared to their direct competitors. Instead customers are comparing “personalized service.” Providing personalized, immersive and engaging customer experiences must be a high priority. Customers want and expect it. 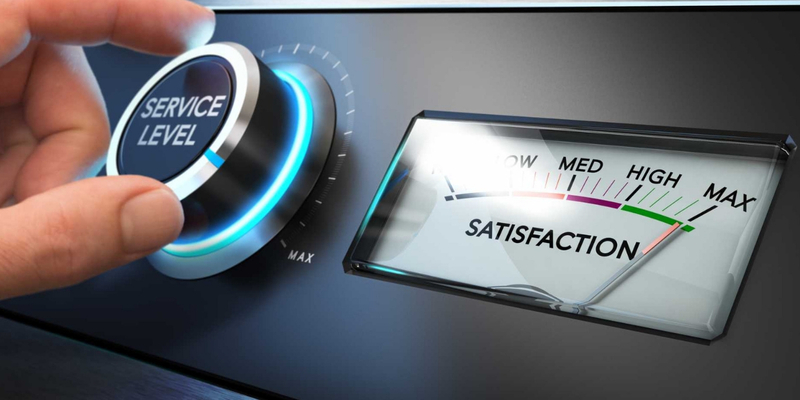 The customer experience brings new ways to strengthen customer relationships … So, in order to compete at a higher level – marketers need to implement customer experience improvements. Despite the adoption of online channels, phone calls remain a key part of the customer journey and are still the most preferred. More than 85% of your customers form their opinion of your company and brand based on how you handle incoming calls. Make a great impression and you have a satisfied customer. Provide a poor caller experience, and it can be fatal to your business. In a moments notice today’s unhappy customers can tweet about their bad experience, or write negative online reviews, neither of which are good for your business. How many business owners or managers call their own company to truly evaluate the overall caller experience? The fact is very few. In reality, part of the customer experience is not only how patrons are greeted at the front door but the “phone door” as well. Everyone knows the cliché “You never get a second chance to make a first impression,” however it is the absolute truth. When a potential (or existing) client calls what is the experience like? Are you having them hear professional auto attendant and voice mail greetings? Are they up to date, professional, and inviting? What about when callers are placed on hold? What do they hear? A local radio station…Dead air? Ninety‐four percent of marketing budgets are spent on enticing consumers to call but only 6% on handling that call. If you have never addressed the situation, chances are it could use some improvement. The good news is with a little planning and the right training you can create a great caller experience for your patrons. Don’t frustrate the caller. Annoying customers with dead-silence is one of the fastest ways to get them to hang up (and not call back). Auto attendant recordings: your auto attendant recordings should sound professional and inviting, and match your brand image. Since your auto attendant recordings are generally going to be the first point of contact with your business for most clients, it’s imperative that you use a professional, welcoming voice, and that the process for the caller goes as smooth as possible. Your business should aim to inform callers, but avoid overwhelming them with a massive list of options. You want your auto attendant to be a simple guide to help direct callers, and not a confusing mess that puts a wall between callers and agents. Professionalism. Professionally recorded phone greetings establish your brand and enhance your company image. DIY Approach. when businesses opt for the DIY approach, one of the many problems that occur is that an amateur speaks too quickly or too slowly. Additionally, background noise, microphone feedback, breathing sounds, and more can seriously diminish the quality of a recording, your brand impression and customer experience. The In-Store Experience Can Make or Break a Business. Meet Linda. She’s our imaginative customer, a typical shopper in any store you can imagine. When Linda walks into a store she’s on a mission: the gliding doors open because she intends to purchase something. Maybe she doesn’t know exactly what, but she has a general idea. What she does know is that getting from point A to point B in the most direct and smooth manner is essential for Linda’s in-store customer experience. This store is very chaotic. I don’t have time to wait around. I need to shop somewhere else. Or … Let’s take a look at some tips and strategies below on how you can improve the in-store customer experience starting from the minute they walk into your brick-and-mortar business. Instead, what if when Linda walks into the store, she’s greeted with pleasant sights, sounds and smells? Scent Marketing. research has shown that 74% of consumers have been drawn into a store because of inviting fragrances, making scent marketing a must. The first 15 seconds of a consumer’s shopping experience largely determines how they feel about their overall shopping experience. Our cold air scent diffusion technology fills businesses with the pleasant and inviting aroma of essential oils. Scenting has proven to keep shoppers in the store longer, encourage purchases and build a lasting connection that encourages return visits. Overhead Background Music. Research shows that the in-store music you play affects not only the store’s environment, but also shoppers’ moods and feelings, and reduces perceived wait times. Have you ever been in a silent store – with no music playing in the background? What was your impression? If you are like most people, you probably felt uncomfortable, and after looking around a bit, you quickly left, headed towards a friendlier, more welcoming store. On the other side of the scale, have you ever left a store because the music was too loud or unpleasant, making you feel stressed and uncomfortable? The right music has the potential to put people in the right mood, (re)define the brand’s image, attract customers and increase sales opportunities and revenue. In-Store Video. Customers who come into your store believe there is something inside of your store that can offer what they want or need. Use in-store video marketing to help guide them through this stage. Use your in-store video ads to promote your social media platforms and encourage shoppers to engage with your brand in the future. As more and more businesses embrace these in-store marketing tactics, you can no longer sit back and wait for the right time to start a strategy of your own — the time is now! It’s Not a B2B Thing or a B2C Thing—It’s a Value Thing. There are many considerations marketers can take away from this discussion of the experience economy, but one stands out: If you want to build brand affinity, give the people what they want. What they want, it turns out, is an experience—something memorable, something they can connect with, something that makes them feel like less of a check book and more of a participant. Yes, you’re selling your goods or your services, but what else do you have to offer your consumer? Can you fulfill a need they didn’t ask you to, or maybe even one they didn’t know they had, somewhere within their interaction with your brand? Accomplish this, and you’ll have the loyalty of a mobile, social generation of consumers who can’t wait to share their experience. Want to improve your customer experience? Contact Original On Hold and we’ll show you numerous ways in which you can do just that.